The black marubozu is a simple single candle pattern. As the name suggests it is black, showing that the stock price closed on a lower level than it started the day. It has a long body without any lower or upper shadows. The day opens and prices continue to move down all day without stopping, It can appear anywhere on the chart. The longer the candle is, the more dramatic the jump in price has been. What happens on the market when this pattern appears? It can mean a trend reversal or continuation, depending on the situation. 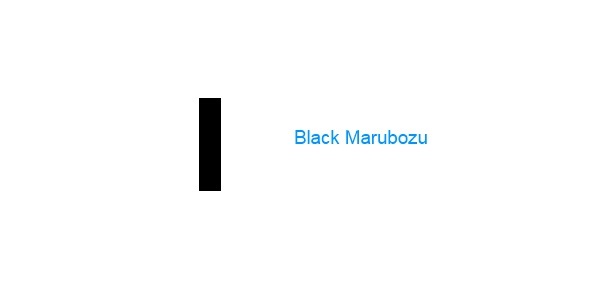 If a black marubozu occurs at the end of a downtrend, a continuation is likely. If this pattern forms at the end of an uptrend, a reversal is expected. Black marubozu is a bearish pattern and has more versions in the family of marubozu patterns.